For manual regulation of air flow or shut-off of air ducts.Compatible with 400x200 up to 600x350 mm rectangular air ducts. Galvanized steel case and rotary blade.Manual regulation with a metal handle equipped with a lever and a locking device for fixing the position of the rotary blade. Fixing to rectangular ducts with flange connection. 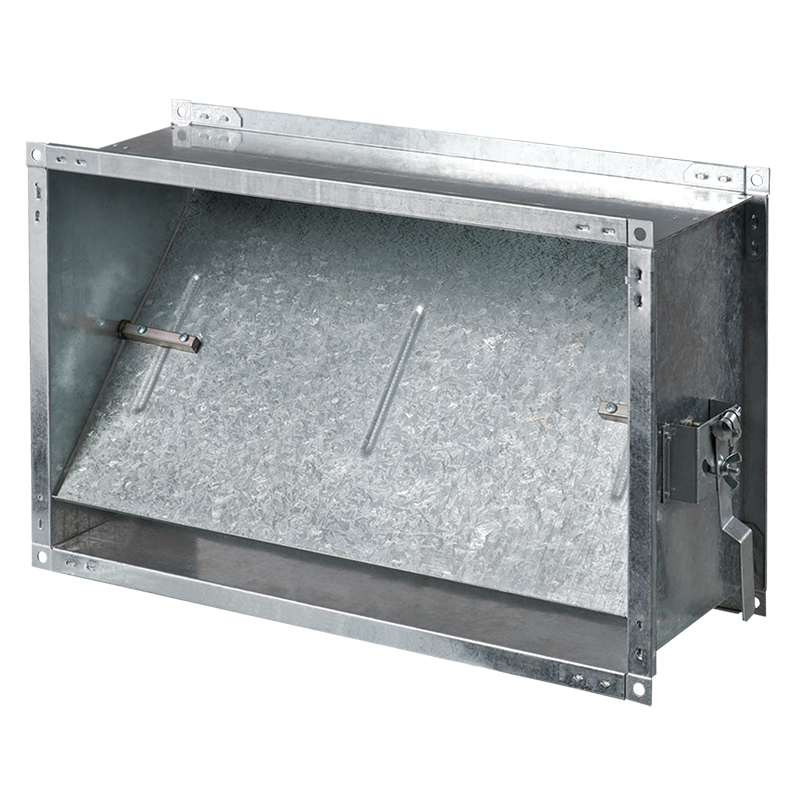 Mounting with galvanized bolts and clamps that fix the end flanges of the air shutter to the mating flanges of the air ducts or any other ventilation system components.